Monoj Kr. Sardar & Bros.
Monoj Kr. Sardar, son of late Khagendra Nath Sardar was born in the year 1947 and is doing business in musical world for the last 40 years. He has gained experience in musical instruments through their family tradition for the last four generation. He has gained experience through his practical knowledge and patience. He has gained vast knowledge about musical instruments viz. 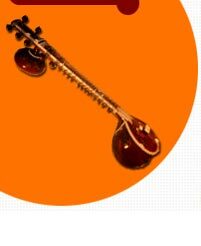 Setar / Tanpura / Dilruba / Esraj and other Indian Classical Instruments. He has special technical knowledge about Harmonium. 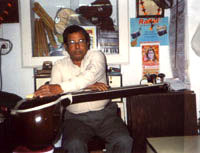 He is pioneer manufacturers of Tanpura 96 Model. He has manufactured HANSABINA first in Kolkata which has been certified by Pt. Ravisankar & Pt. Barun Kumar Pal. He is at present known to world artistes and he has business presence in almost all European Countries and Asian Countries like Bangladesh, Sri Lanka, Mauritius etc.